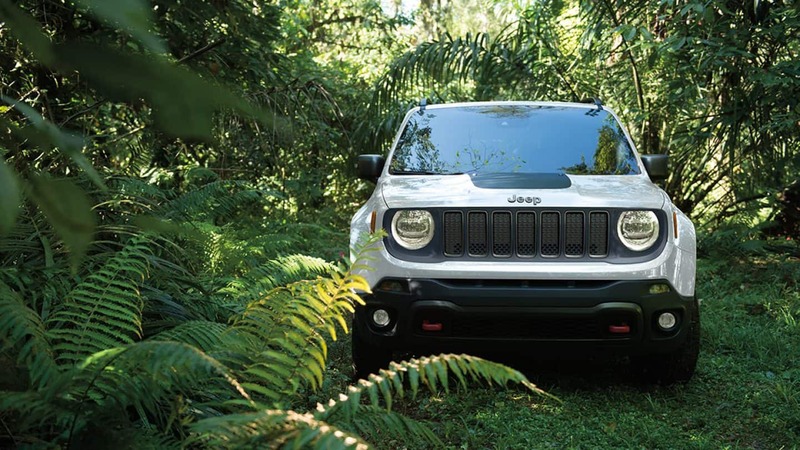 The Renegade quickly sets itself apart from other SUVs on the market with a unique exterior style and the capabilities to take your adventures to new heights! 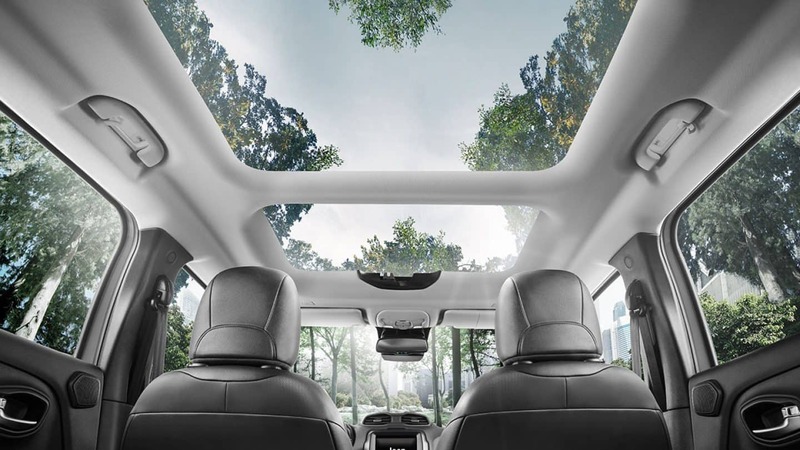 This Jeep has been revamped, both inside and out, for the 2019 model year! 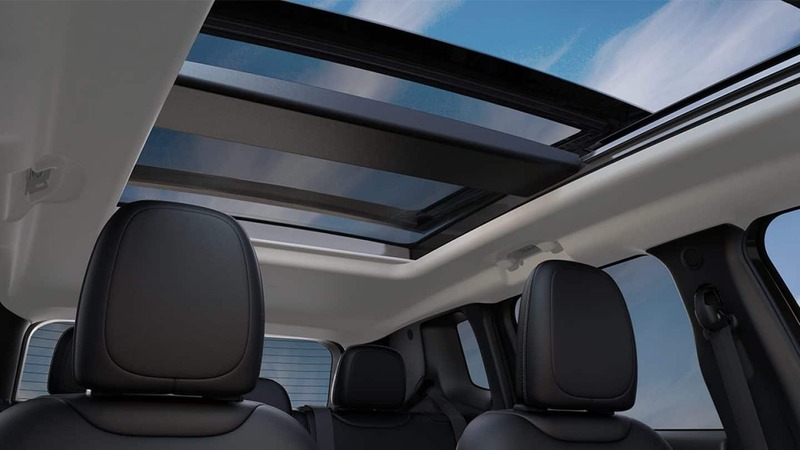 The exterior of the Renegade sees styling enhancements that don't take away from the iconic Jeepness of the SUV while the interior receives a new dashboard and updated functionality for an even more comfortable ride. There is also a new engine option for the 2019 model year! Keep reading the rest of our review to learn more about what the Renegade can bring to your life! 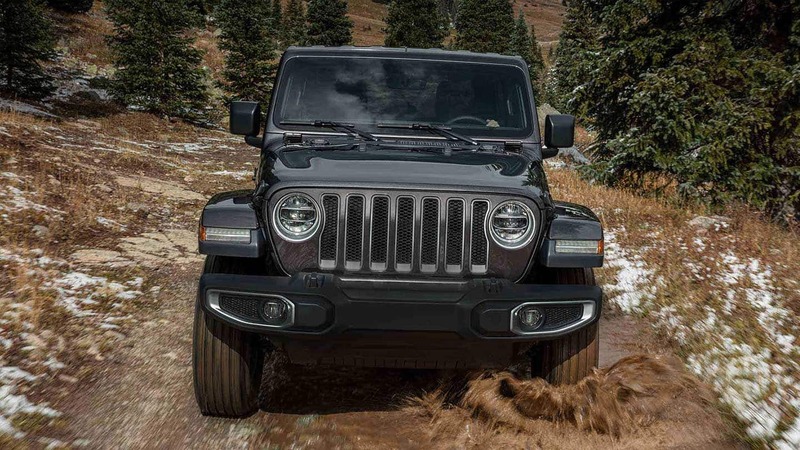 Jeep offers four Renegade trim levels for the 2019 model year, the Sport, Latitude, Trailhawk, and Limited. Standard features are bountiful and include a removable cargo floor panel, manually adjustable mirrors, tilt/telescoping steering wheel, 6-speaker sound system, height-adjustable driver's seat, rear folding seat with 60/40 split, a 5" touchscreen interface, Bluetooth, fold-flat front passenger seat, and keyless entry. Upper trims come outfitted with features like ambient LED lighting, heated front seats, all-season rubber floor mats, leather upholstery, an 8.4-inch touchscreen interface, xenon headlights, and driver assistance features. The Trailhawk model takes on more off-roading geared features like skid plates and a raised suspension. 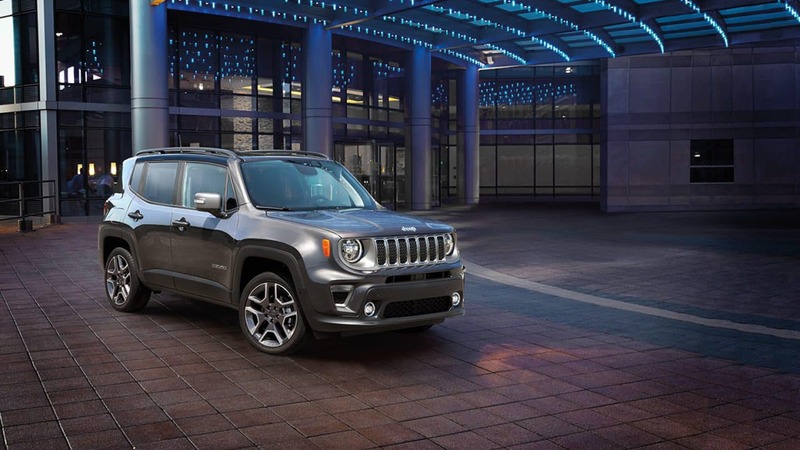 There are a number of packages available for the 2019 model year, allowing you to configure the Renegade to meet all the needs of your lifestyle. Two powertrain options are available for the 2019 Renegade. Up first is the standard 2.4-liter 4-cylinder engine that produces up to 180 horsepower and 175 pound-feet of torque. This engine is estimated to reach up to 31 miles per gallon with highway driving according to the EPA. Enter the new engine, found standard under the hoods of the Trailhawk and Limited models, and available under the hoods of the Sport and Latitude. This turbocharged 1.3-liter 4-cylinder engine generates up to 177 horsepower and 200 pound-feet of torque. 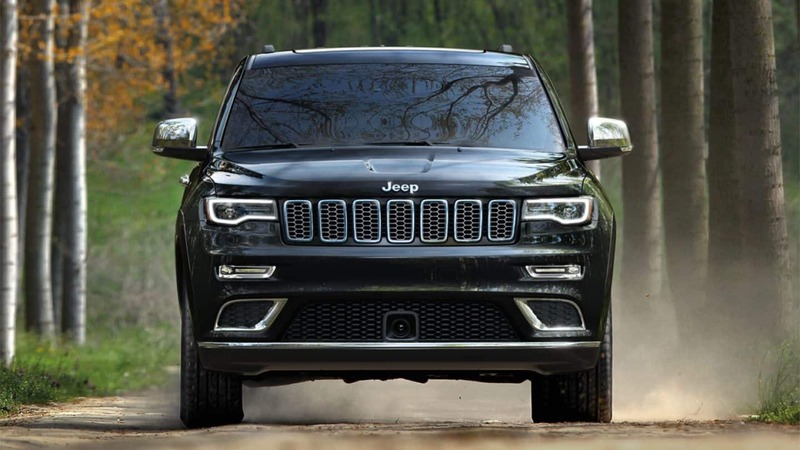 Jeep pairs both engine options with a nine-speed automatic transmission. 2WD is the standard drivetrain configuration for all models except the Trailhawk where 4WD is standard. 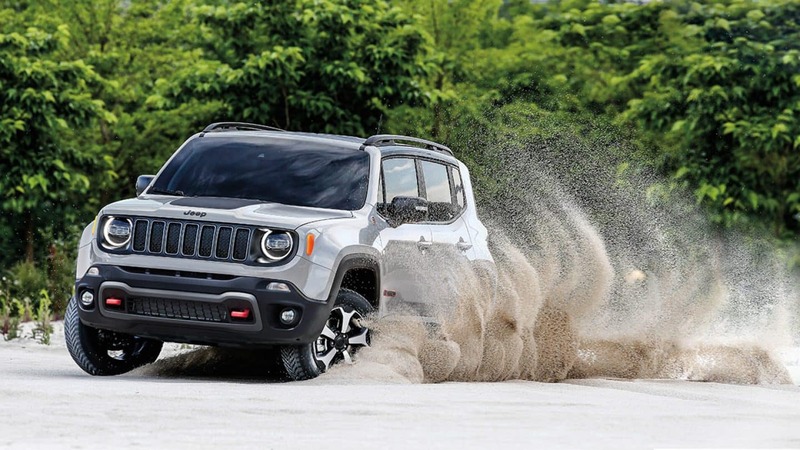 4WD is available for all other 2019 Renegade models. With the 2.4L engine and 4WD, the Renegade can tow up to 2,000 pounds. Does the Renegade come outfitted with any safety features? 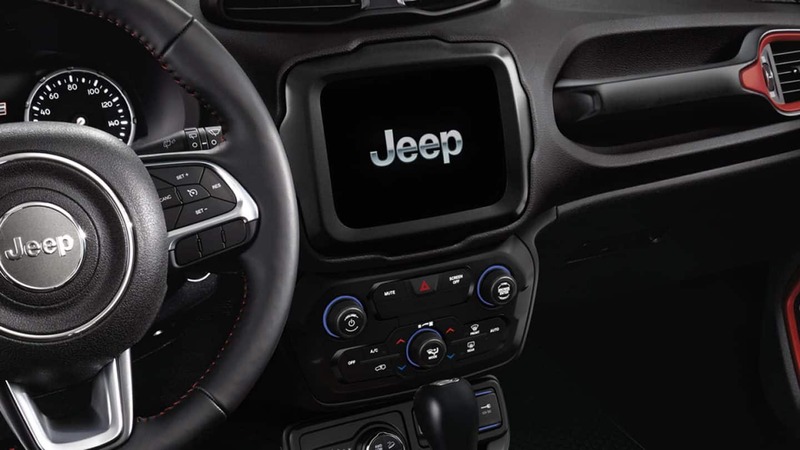 The Jeep Renegade makes every drive feel safe and secure with over 70 standard and available safety and security features that work together for confidence downtown, on the trail and everywhere in between! Safety starts with production with a chassis that is manufactured with high-strength steel that is built to direct crash energy away from the passengers inside the cabin. 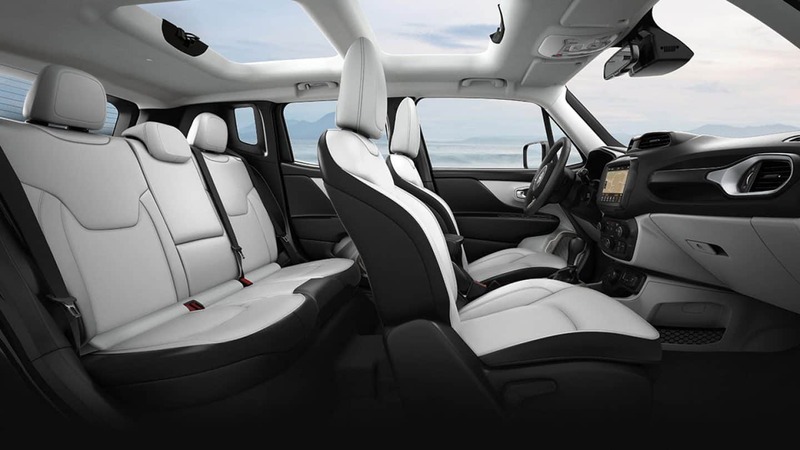 There are also seven airbags installed throughout the cabin for added safety. Safety focused packages available include the Safety and Security Group and the Advanced Technology Group. The first adds automatic wipers, rear cross-traffic alert, blind-spot monitoring, and xenon headlights. The Advanced Technology Group comes with lane keeping assist, full-seed forward collision warning, adaptive cruise control, automatic emergency braking, front parking sensors, and an automatic parking system! 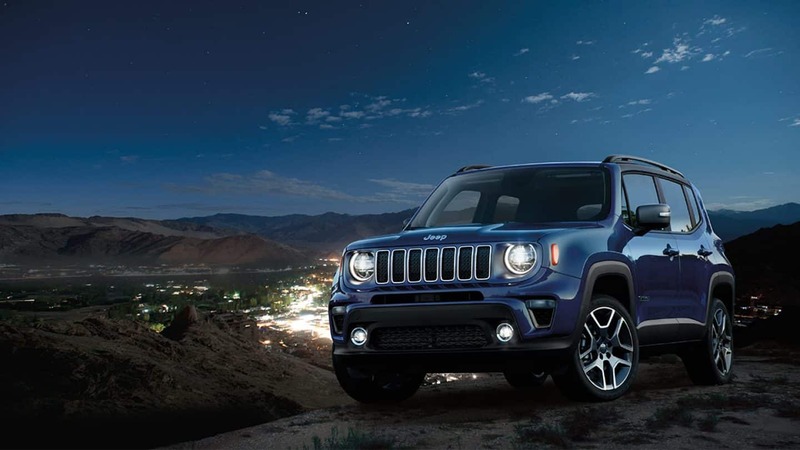 The 2019 Jeep Renegade is a unique SUV that is ready for every kind of adventure you have planned! 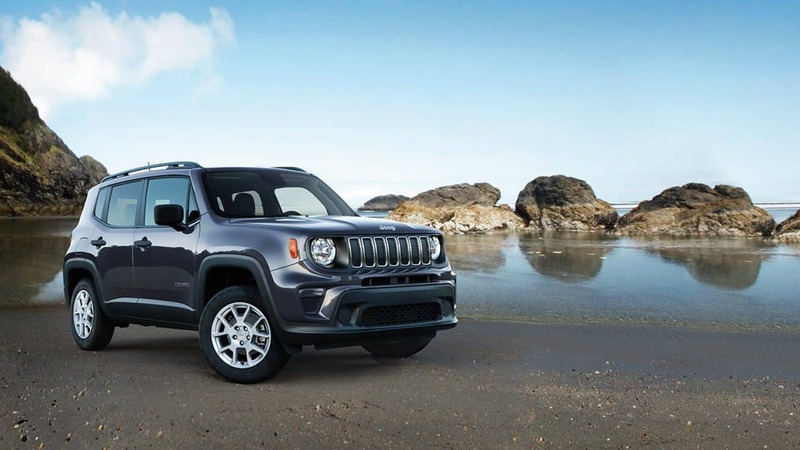 You can learn even more about the Renegade and find out which trim level is the best match for your lifestyle by coming down to the dealership! Our sales associates are ready to answer any questions you may have and even take you out for a test drive or two!